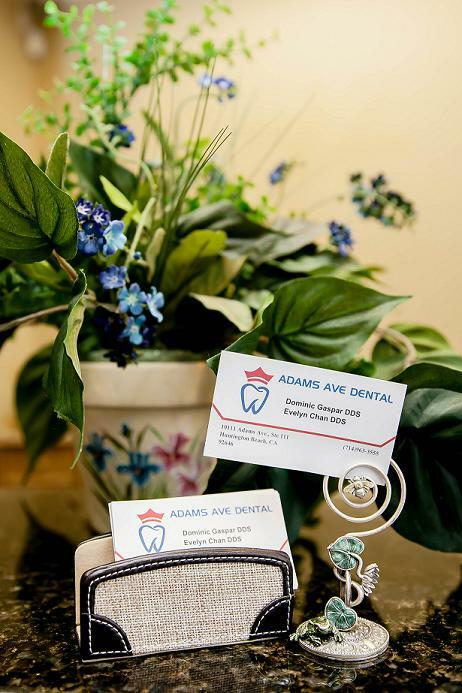 "A Gentle Place for a Smiling Face"
At Adams Ave Dental our aim is to provide the highest quality of comprehensive and esthetic dental care for the whole family. Our objective is to take care of our patients the same way we would treat our own family members and loved ones. The treatment we provide is based on our patient’s over all well-being and best interest, not of profit. We adhere to the strictest infection control protocols and we do not compromise on our sterilization techniques. Our office utilizes modern, state of the art dental technologies. We reassure you that our highly skilled dental professionals and friendly staff will make you feel at home and comfortable during your visit. We accommodate your busy schedule by having little to no wait time. Our staff works to provide you fast and efficient service to work with your busy schedule.